Welcome to Fence Masters. CALL TODAY (613) 777-5200 For a FREE QUOTE! Considering having a new fence installed around your front or backyard? If you have your eyes set on an iron fence, this is an excellent choice for a number of reasons. 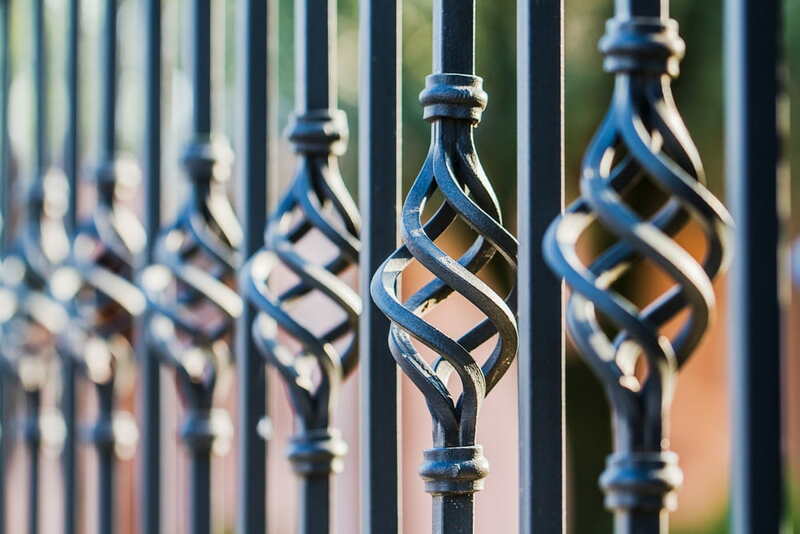 To help assist with your decision, here are a few great uses for ornamental iron fencing and how it can enhance and benefit the exterior of your home. Whether it’s modern, traditional or something in between, you can never go wrong with the unique and eye-catching character of an ornamental iron fence. The gothic, mid-century style is always a timeless favourite that adds contrast and a crisp, elegant note to any exterior. Some fencing styles can restrict air flow when they’re installed since there isn’t much space – if any at all – between the fence to allow the breeze to pass through. In certain locations and climates, this can impact the comfort and temperature when you’re out lounging on your patio. Since iron fences include plenty of space throughout the design, it won’t impede the circulation of air. Plus, when a strong wind gust whips up, there’s virtually no risk of it toppling over. There are many styles of fences that maintain your privacy while also blocking out your view. However, iron fencing provides the security you need while still being able to see what’s happening on the other side of it. With the flexibility in design, you can also plant certain shrubs along the fence if there are some particular areas you’d prefer to block out while maintaining partial visibility elsewhere. Solid wood fences and other modern designs can also prevent sunlight from penetrating to reach your garden beds. This can make it difficult for your plants and other vegetation to grow properly with such an abundance of shade. But an ornamental iron fence allows the sun to shine through, keeping your plants happy and healthy on either side of it. In addition to these great uses for ornamental iron fencing, it’s also an incredibly strong and durable material that’s immune to bugs and wood rot and requires minimal maintenance. There’s no denying just how stunning iron fences are – they add definition to any exterior. If you’re looking for the best fencing options for your home, give the Fence Masters a call for the best quality products, workmanship, and customer service in Ottawa. What is the Most Resilient and Weatherproof Fence Material? Fence Masters Ottawa is your number one choice for quality products, installation and after sales service. Our dedication to customer satisfaction is the key to our success and growth.